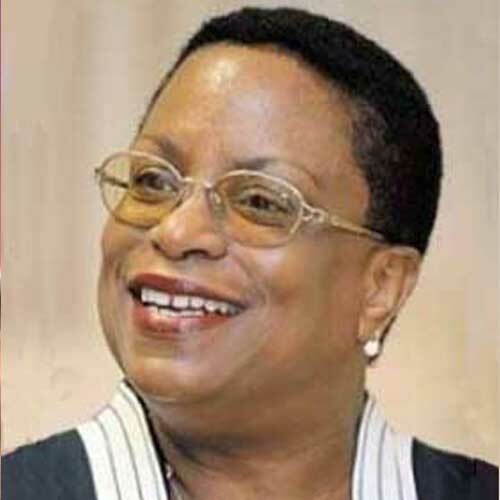 Melva Lowe de Goodin is an Afro-Panamanian academic and writer, whose work has focused on adding back the historical contributions of Panama's Afro-Caribbean people. Educated in the United States, she began her teaching career in Africa and upon returning to Panama recognized how invisible the community of blacks who were not Latino were. Joining the newly developing black movement in the country, she strove to educate and preserve the history of West Indians who had immigrated to Panama. Teaching at the University of Panama and simultaneously designing a course and teaching English at Florida State University-Panama, she carried on a dual career of activism and education until 2000, when she was made head of the English Department at the University of Panama. She has published two textbooks; a history of the African diaspora in Panama, which has been published multiple times in both English and Spanish; and wrote a widely-known play to address the historical contributions and biases which have impacted Panama's black citizens. She is the current president of SAMAAP.